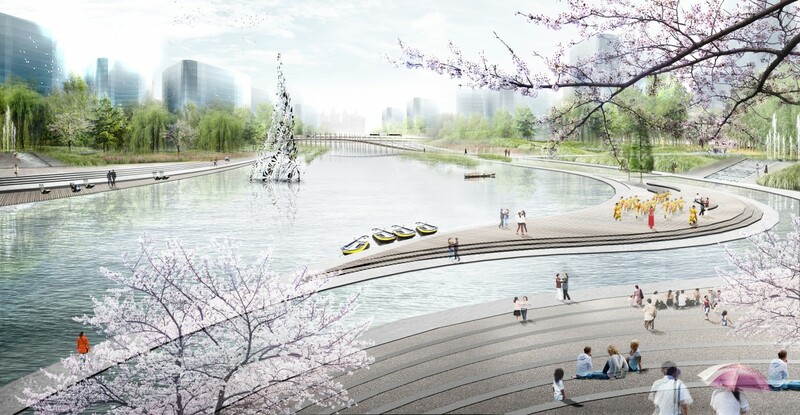 Songxi Park is a park that is part of a large green framework in the new city lay-out of Harbin, at the west side of the city. Its organic shape refers to the organic river structure and forms a contrast with the rest of the rational grid structure of the city lay out. 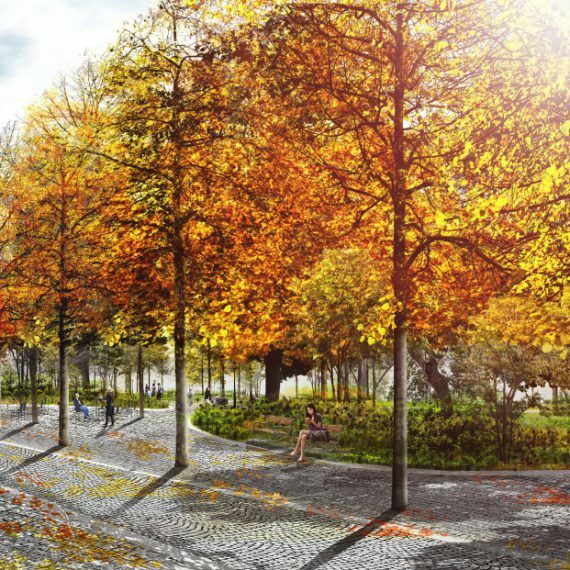 Songxi Park becomes a green ecological environment that is in contrast with the high density of the urban surroundings. 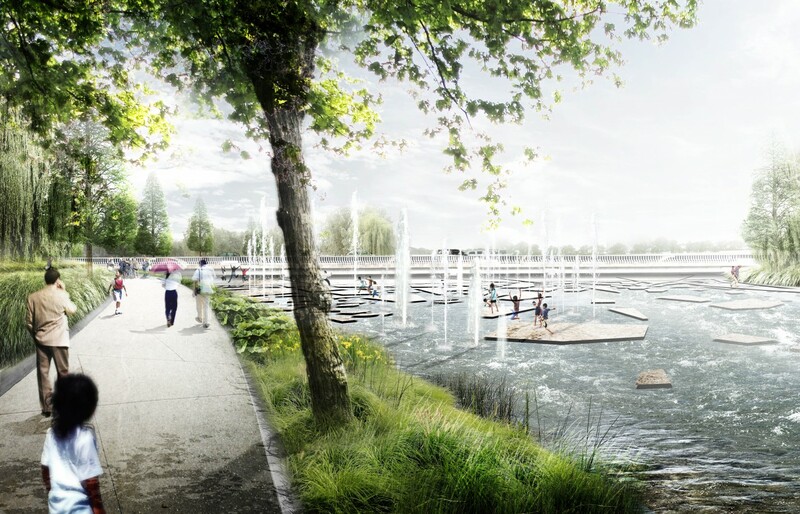 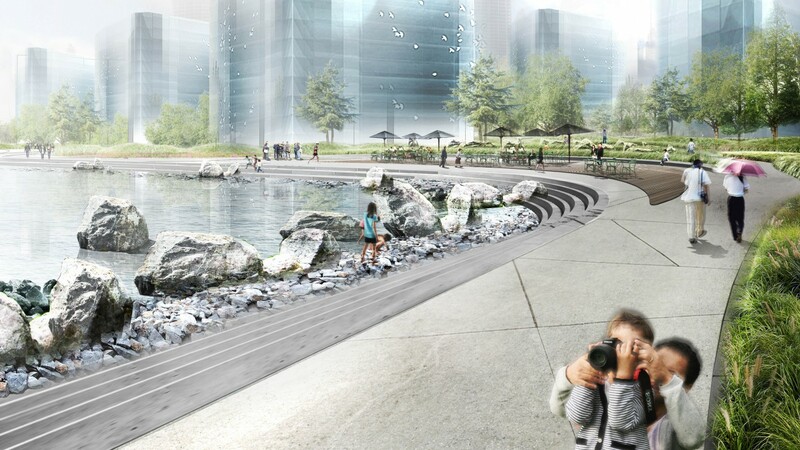 This plan will create a new heart of the town, a heart that embraces nature and water. 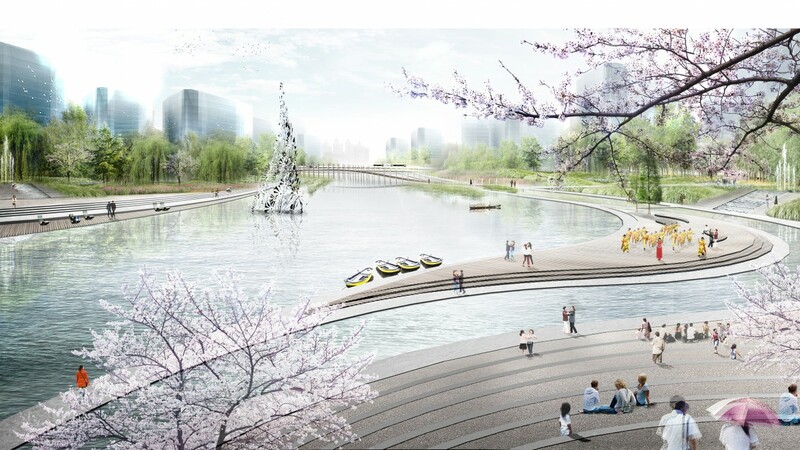 Its main characteristic is that it will be a regional recreational centre and an ecological corridor.